Home / Political News / APC Chaotic rallies, worst election season in Nigeria. 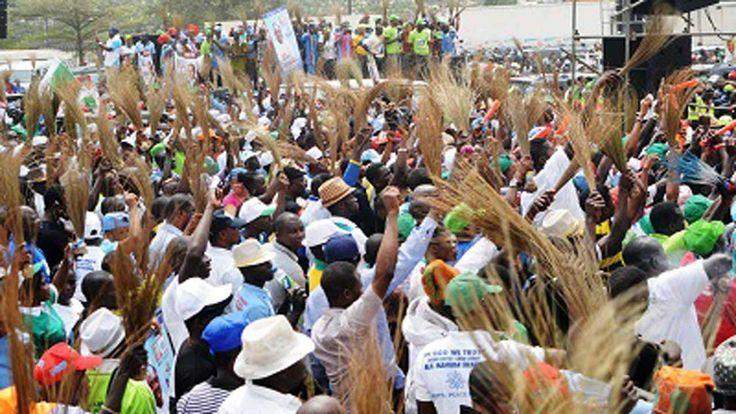 APC Chaotic rallies, worst election season in Nigeria. APC's governorship candidate in Kwara, Abdulrahman Abdulrazak had to be escorted away from a rally in Ilorin on Sunday after suspected political thugs fired bullets into the crowd leaving at least two persons seriously injured while vehicles damaged as thousands fled the scene. The Nigerian Police Force confirmed the attack in a statement by spokesman, Jimoh Moshood, affirming that the thugs went on the rampage in Ilorin, Kwara and disrupted a rally being held by the All Progressives Congress. According to Sources, there was also another attack on APC supporters in Ile Aiyelabegan, a short distance from the Agbaji homestead of the Senate President Bukola Saraki.